Mr. Nagelvoort, the company’s founder, has over 25 years of experience assisting companies in extended warranty products in the consumer, home, and auto warranty sectors. He has helped many TPAs and Insurance companies, as well as OEMs, to manage and market these products. Mr. Nagelvoort has experience in supporting each phase of extended warranty programs including sales, policy management, claim management, risk management, and offshore reinsurance. Customers have varied from large international insurance firms to start-up TPAs. He has led the company from an insurance industry consulting practice, to a Best of Breed developer of integrated software solutions for the warranty and service contract sector. An expert on warranty processing, Mr. Nagelvoort has spoken at several warranty conferences, teaching others to increase sales and streamline claims processing by using technology. He has also been a popular national conference presenter on advanced application development and the integration of large systems at Fortune 500 companies. Prior to forming PCMI, Mr. Nagelvoort was President NAT, Inc. which was acquired by DealerTrack. 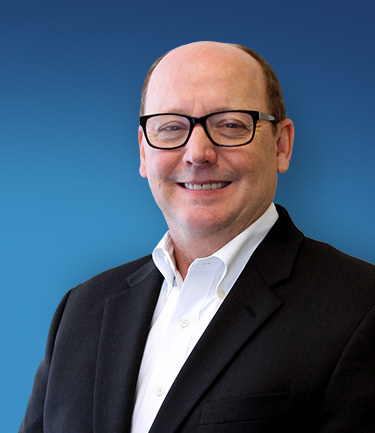 He served as the President of the NAT Solutions Division of DealerTrack Aftermarket Services. Prior to forming NAT, Mr. Nagelvoort was a consultant with Arthur Young & Company in the Midwest Advanced Practices Group. He holds a Bachelor’s and Master’s degree in Computer Science from Northern Illinois University. 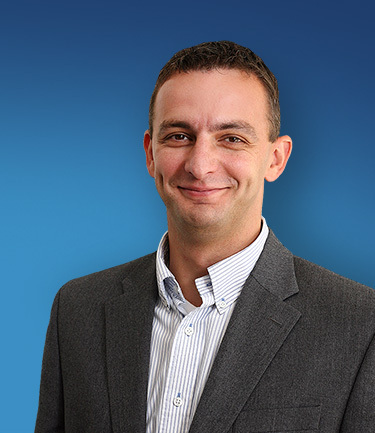 Mr. Kasprzycki is an experienced leader in software technology for F&I Administration. For over 12 years, he has worked with both large and small administrators of F&I products. As COO of PCMI, he directs the operational infrastructure of the company to ensure that current and future plans are met. This includes customer relationship services, product development, and project management to see that key deliverables are achieved across all clients, partners, and markets. Mr. Kasprzycki has been helping administrators install new software for over 12 years. He was a key member of the development team at NAT Inc., which built the SCS Administration System that was acquired by DealerTrack in 2005. In 2009, it then became a privately held company called F&I Administration Solutions, where he gained the position as Product/Implementation Manager. In 2011, he joined PCMI to lead the development and installation of PCMI’s new Policy Claim and Report Solutions “PCRS” software suite. Under his guidance, PCRS has become the international market leader for F&I Administration with offices in US, Europe, and Asia. Mr. Kasprzycki is a frequent speaker at industry conventions. He holds a Bachelor’s degree in Computer Science from Dominican University and has continued his education over the years on XML, SQL BI Reporting, Java Programming, and Commerce Server 2000. Mr. Ridley is the Chief Solutions Officer (CSO). He is directly responsible for all improvements and execution of implementation and upgrade initiatives. 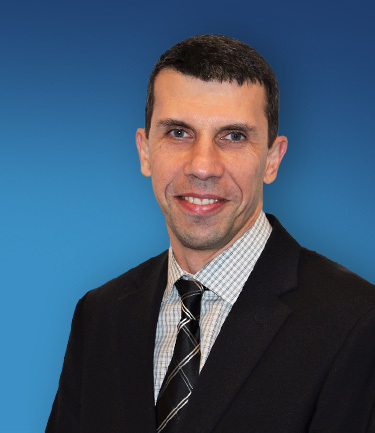 He works with our customers to improve PCMI’s process of releasing new software for both the United States and Canada. In addition, works with our COO to deliver the best solution to our customers. 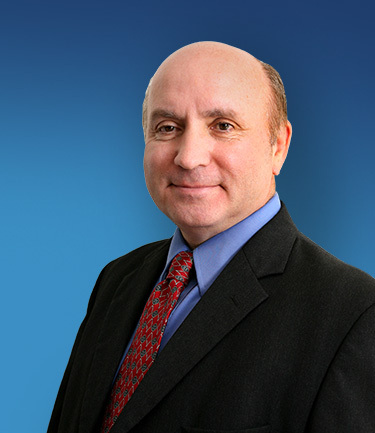 Mr. Ridley brings extensive experience in both the technology and automotive F&I industry. With over 20 years of experience, he has dealt with all aspects of the industry from TPA’s and OEM’s to dealerships. Prior to joining the PCMI team, Mr. Ridley was the Director of Information Technology for one of the industries’ leading administrators, GULF Sates Financial Services, supporting both the OEM and insurance needs of a TPA for 23 years. He successfully deployed numerous projects utilizing a broad range of innovative technologies that improved the operational effectiveness. Mr. Ridley also has key experience in being a contributor in the development of an administration system while working with Mr. Nagelvoort. He holds a Bachelor of Science degree in Finance from Cameron University. In addition, Mr. Ridley finished an Executive Education Program at McCombs School of Business at the University of Texas at Austin. Ms. Schumal is the Director of Financial Services. She is responsible for enhancing the billing and general ledger interfaces of PCMI’s software system – Policy Claim and Reporting Solutions (PCRS) – across all clients. She is the key component for all aspects relating to financial planning and accounting. She is also heavily involved in collaborating with members of Upper Management and the Support team to improve client experiences. With more than 15 years of experience, Ms. Schumal brings extensive and widespread knowledge and skill to the PCMI team. Prior to joining PCMI, she worked as the Reinsurance/Funding Controller for American Guardian Warranty Services, Inc. She is very familiar with the industry, as she started her career working for a Third Party Administrator and continued to work her way up. Ms. Schumal holds a Bachelor’s Degree in Accounting from St. Xavier University. Mr. Zilberg has around 20 years of experience in Software Development, Web services and Windows Applications creating functional and technical designs of applications based on client’s specific requirements. He is well versed with designing databases structures, data migration processes and legacy system conversions. Mr. Zilberg joined PCMI from its inception. He is the core part of our development team. He has a vast variety of technical expertise in different programming languages and demonstrated experience in leading diversified teams from scratch. Before joining to PCMI, Mr. Zilberg was a Programming Team Lead at Dealer Track, Inc. where he had also work with PCMI’s present executives. After Dealer Track, he joined SCT Alternative Corp. as a Software Consultant and then he was reached by PCMI to work as a Senior Software developer due to his knowledge and capabilities of incepting a software from its origin. Mr. Zilberg holds a Bachelor’s degree in Computer Science from the State Technological College (Ukraine) and he also completed his Windows Software development program from DePaul University (USA). Martin Sitarz – President of PCMI Sp z o.o. Mr. Sitarz is the Software Development Lead and Office Manager of PCMI’s Europe Team in Krakow, Poland. He has over 8 years of extensive experience in software industry with a strong background in Business Application Development, Reporting, and BI Solutions. 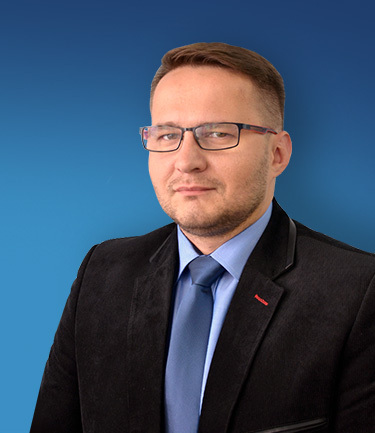 He joined PCMI 3 years ago and has played a vital role in the development of our Krakow team. He has proved his visionary leadership skills and always keeps abreast of any potential challenging issues that PCMI may face in the future. Currently at PCMI, He is responsible for developing and enhancing features of PCMI’s PCRS application and he is also the author of PCRS Reporting Module. Mr. Sitarz technical expertise also entails Microsoft technologies like .NET framework, SQL servers, SSRS and SSAS and he is also a Microsoft Certified Technology Specialist. He has graduated from Cracow University of Technology with a Master’s Degree in Science (Information Technology) and also continued on to study Mobile Device Programming as a Postgraduate. Mr. Likhovid is the Senior Enterprise Architect. 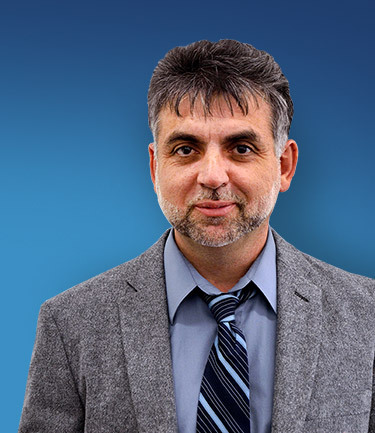 He is responsible for reviewing the performance of the application on a technical level and offering suggestions and improvements that he deems necessary for the continued success of PCMI’s software system – Policy Claim and Reporting Solutions (PCRS). He is heavily involved in the overall methodology of the QA process, as well as, progress of the team on a monthly basis. Mr. Likhovid will continue to evaluate server performance and keep PCMI SSAE 18 Compliant. With more than 20 years of experience in technology management, system analysis, design, and software implementation, Mr. Likhovid brings a tremendous amount of skill to the PCMI team. Prior to joining PCMI, he worked as the Lead Software Developer and then Solution Architect at Corptax, Inc.
Mr. Likhovid holds a Bachelor’s Degree in Computer Controlled Systems from Kiev Polytechnic Institute in Kiev, Ukraine. He is also a Microsoft Certified Professional, as well as, a Microsoft Certified Solution Developer. Mr. Patel is the Director of Client Engagements where he works closely with customers to ensure successful interactions. Customers select PCMI to drive strategic corporate initiatives, and Mr. Patel provides the process and guidelines for PCMI to guarantee client objectives are met. His specific role is to deliver project success, provide clearly defined Statements of Work (SOW), and make certain that projects across PCMI’s customer base follow project management discipline and quality standards. Mr. Patel brings extensive expertise and experience to the PCMI team. He has worked in both technical and IT leadership roles that have spanned several industries for over 15 years. While working at Accenture, Mr. Patel ensured successful delivery of several key projects on time and in budget. In addition, at his previous position working at a leading Insurance company he demonstrated expertise in Agile development and Scrum. As a technology manager, Mr. Patel completed his certifications for PMP, ITIL Foundations v3, and Certified Scrum Master. He holds a Bachelor’s Degree in Operations Management and Information Systems from Northern Illinois University.